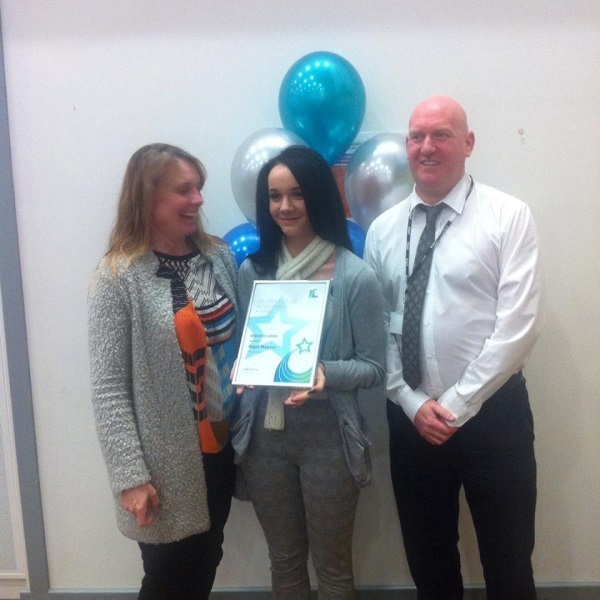 Angel Magson – Showing that Apprenticeships can truly be life changing! Angel works for ‘The Electric Cigarette’ which is an offshoot of Living Sober, a Redcar based Community Interest Company established to provide rehabilitation and support and to assist those with chronic alcohol problems who want to rehabilitate back in the community within Redcar & Cleveland. After a slow start and a huge lack of confidence she is now ahead of time and very close to completing her NOCN Retail Intermediate apprenticeship consisting of both competence and knowledge based qualifications plus Functional Skills. Showing great commitment, she was successful in her Technical Certificate exams at the first attempt. Angels’ hard work and effort has not gone un-noticed and she was recently nominated for the Redcar and Cleveland College Apprentice of the Year Award, coming a close second. In her role at the Electric Cigarette, Angel, has come on leaps and bounds, she has grown from the ‘shy kid in the corner’ to a valued and respected member of the team.She confidently approaches her customers, has a great knowledge of the products she sells and has built up a great rapport with her regulars. Angel is looking forward to starting a level 3 qualification and would like to become the first member of her family to go to university. Stuart Welsh, One Awards Account Manager said: ‘All of us at One Awards send our congratulations to Angel – a huge well done! We work closely with the team at Redcar and Cleveland College to provide NOCN Apprentice Frameworks and we do know how proud the Apprenticehip Team are of all of this year’s Apprentice achievers. It’s great to see that our qualifications have proved to be engaging to learners and relevant to the needs of employers’.